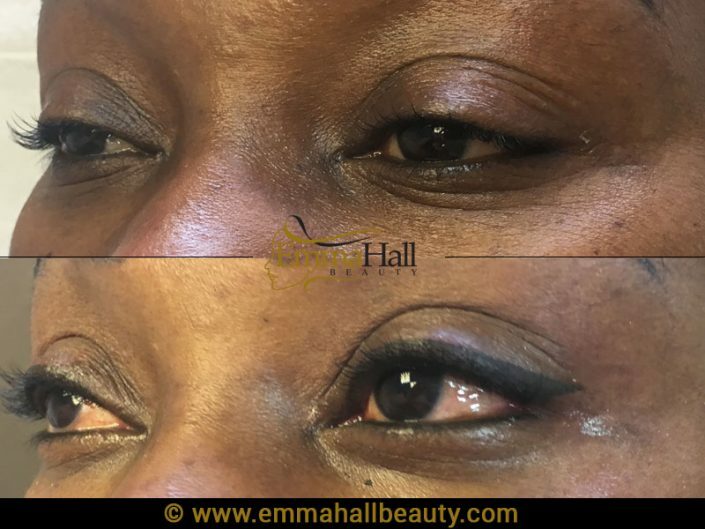 It’s a fact eyeliner when applied with expert precision has the ability to lift and define your eyes in a way that brings them to life and enhances their natural beauty. 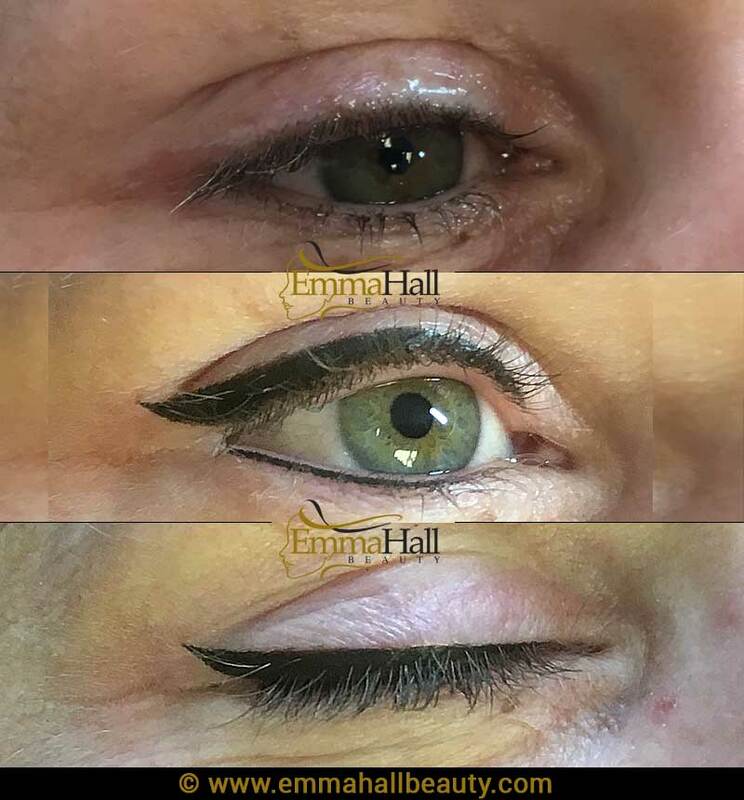 Whether applied separately, as a duo to both the upper eyelid and lower lashes combined, or in the form of a lash enhancement which involves a range of pigments being implanted into the lash line to give the illusion of instant added volume and definition, permanent eyeliner will never fail recreate a look of alluring elegance. 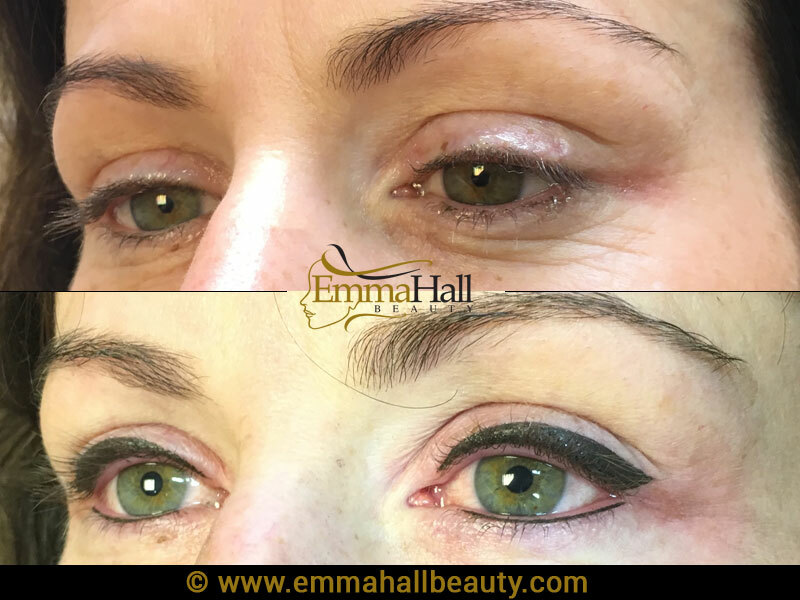 If you’ve been thinking about treating yourself to this procedure, which is a must have for contact lens wearers or those who suffer from allergies to conventional makeup, I can almost guarantee that whilst your already sold on the benefits of smudge free, waterproof permanent eyeliner that you can rely on, you still have a few doubts regarding the actual application and safety? Let’s address those concerns right now with some straight taking. 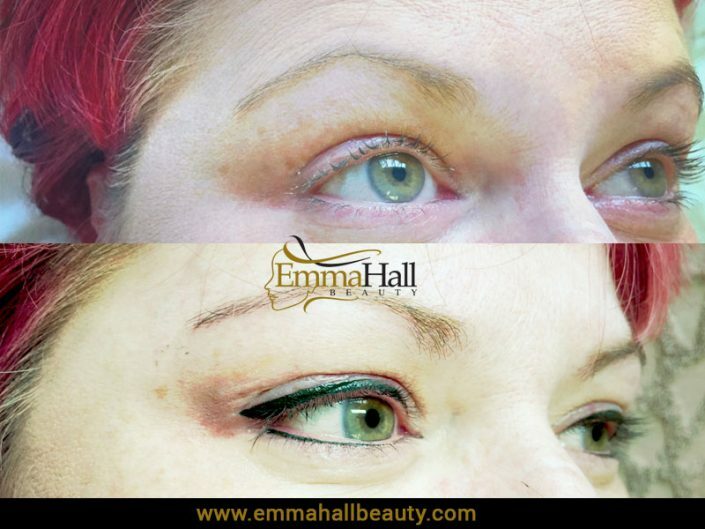 As a professional permanent makeup artist your wellbeing and satisfaction are two of my top priorities. When treating an area such as the eyelid or lower lash, extra caution is taken due to the work being carried out in close proximity to the actual eye itself, however by adopting a series of bespoke stretching techniques and professionally executed hand placements throughout the procedure, I’m able to remain in full control at all times. Non-toxic and hypo-allergenic mineral pigments are also used at the clinic, which are combined with the latest state-of-the art equipment and devices to guarantee your safety and comfort.Before the procedure begins a thorough consultation will take place, which will include pigment selection and the creation of a style which suits your requirements. 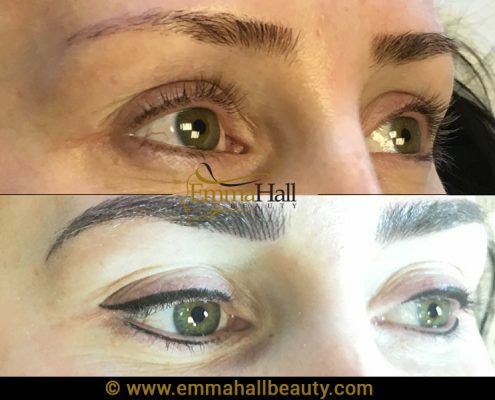 Due to the extensive colours available ranging from blackest of black to more subtler shades of olive green, sea blue, grey, brown violet and even pearl, I will provide my expert opinion and advice throughout the planning stage listening carefully to your expectations regarding line thickness and desired finished looked, before applying a special anaesthetic to make the permanent make up application a pleasant and worry free experience. The top lid eyeliner this is a technique which applies the eyeliner throughout and above the eyelashes of your top lid. The difference between this technique and the eyelash enhancement, is that the eyeliner in this treatment is positioned both above and beyond the eyelash, creating a visible line on the upper lid, similar in effect to what you would create yourself if using a kohl based eye pencil. Depending on your specific request, a thinner or thicker line can be drawn. The effects vary from subtle and natural to a more dramatic and intense look. The same technique can be used for both top and bottom lashes. Many women are great fans of Latino looks which help to create a more intense and dramatic look to frame the eyes. That’s why the Latino eyeliner is a popular treatment for many women, who wish to emphasise their eyes and showcase them as the windows to their soul. The eyelash enhancement just for the top eyelid is a popular treatment with both male and female clients alike. 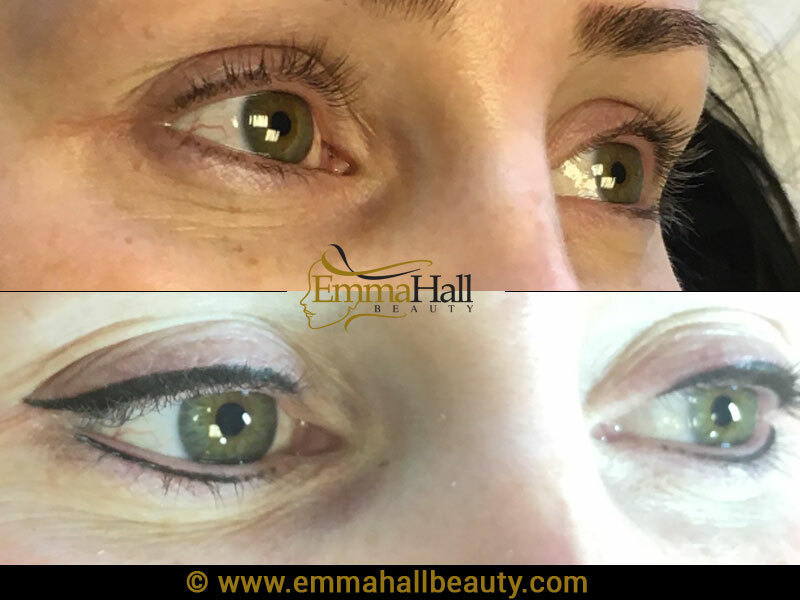 The procedure brings light to the eyes as pigments are implanted into the lash line, to fill in any unwanted gaps, create volume subtle definition. The eyelash enhancement for top and bottom eyelids is similar to the procedure above, except that it also treats the bottom lid. 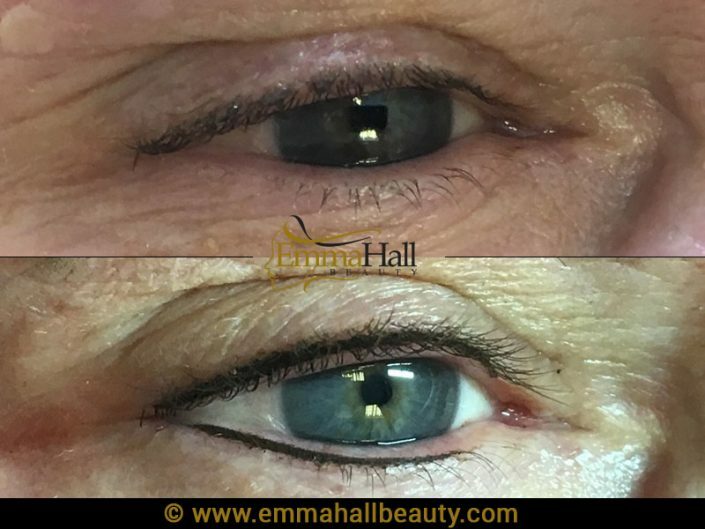 The bottom lid line is often found to be thinner than the upper lid and to present variations in intensity and thickness, the procedure is carried out starting from the inner corner and continuing to the outer corner of the eye. The effect of the eyelash enhancement for both lids is of course more intense than if applied only to the upper lid. It is still however very soft and subtle, creating a beautiful naturally definition and focal facial feature. 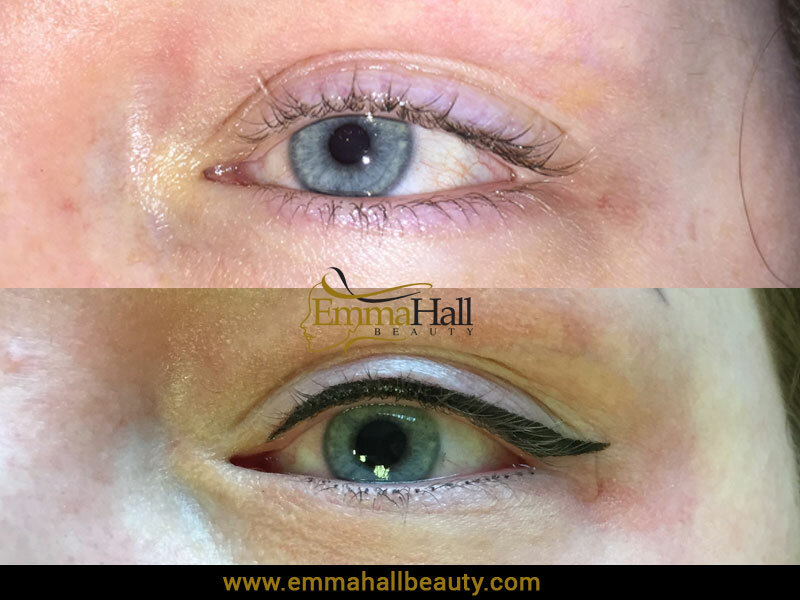 The shaded eyeliner is an advanced permanent makeup technique in which the technician creates a smudged, smokey eye look with soft edges. In summary permanent eyeliner and lash enhancements really are an investment that you won’t regret making. 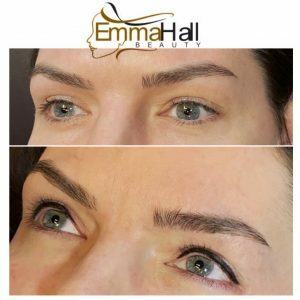 Many of my loyal customers return year after year for their annual retouch appointments and remain thrilled with the freedom that this procedure has given them. If you want to be able to walk out of that challenging gym session looking as good as you did when you arrived, wake up looking refreshed and retain immaculate liner day and night with no undesirable under eye smudges or panda eyes, then it’s time to book your complimentary consultation.